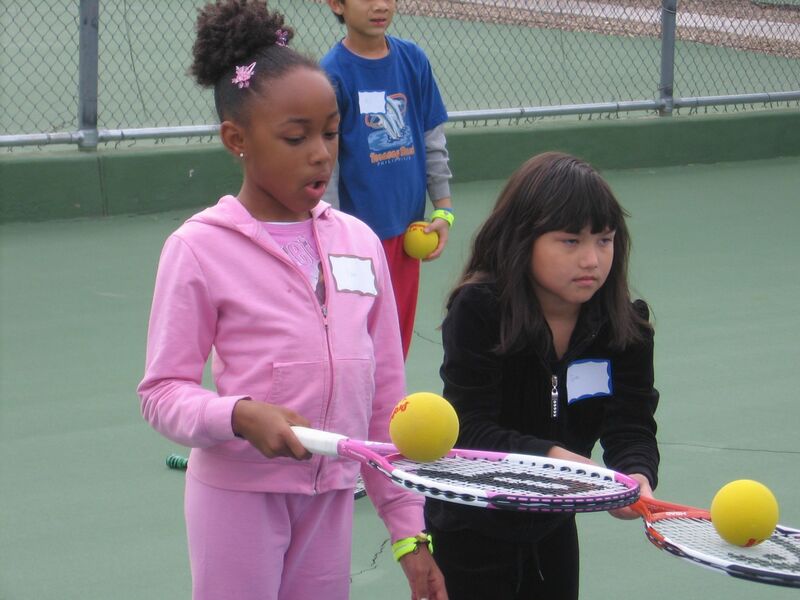 Kids, League Players and USTA Members Welcome at ASU Pre-Match Celebrations and Clinics! Three match days for the Lady Sun Devils' tennis team will also be turned into appreciation and fun days for children, league members and USTA members this spring! With pre-match clinics, raffles, music and prizes, there is a fun day for everyone! For a complete list of the ASU Lady Devils matches, click here. USTA Central Arizona Kid’s Day — an event put on in partnership with Arizona State University — will be held February 20, 2010, before the ASU Women’s Tennis team match against Saint Mary’s College. The day's events are FREE! This pre-match celebration will be open to families and will take place at Whiteman Tennis Center, located on the campus of Arizona State University. There will be special tennis and music shows fun for the whole family. This event is for everyone, whether your child loves tennis, wants to learn about tennis, or just wants to run around and hear some music. Come out and support tennis in the Greater Phoenix Area! The gates to the Whiteman Tennis Center will open at 9:30 a.m., and the clinic will last an hour. Kids and parents will have the opportunity to enjoy free grounds activities, raffles, and prizes and the children can participate in tennis clinics and different games. 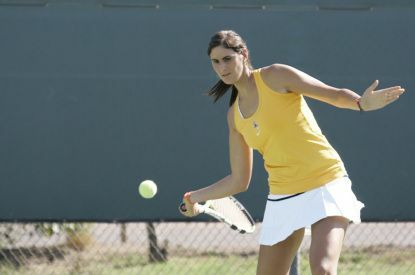 Some of the ASU Women Tennis players will be on hand to help with the carnival and offer their support. At the completion of the event, lunch will be served, followed by another chance for the children to win prizes. Kids that participate in the event will also have the opportunity to compete in a QuickStart Tennis tournament in between the singles and doubles matches of the ASU Women’s Match! Come out to support the Lady Sun Devils and celebrate tennis with your family! We look forward to seeing a ton of families at the match! USTA Central Arizona League Day — an event put on in partnership with Arizona State University — will be held March 13, 2010, before the ASU Women’s Tennis team match against the University of Southern California. The day's events are FREE! This special tennis clinic will be offered to the league players of the Greater Phoenix Area and will take place at the Whiteman Tennis Center. This event is for everyone, whether you play USTA Leagues or Women’s Interclub, we want to give you the chance to learn some skills that you can use on the court in your next match, as well as have the opportunity to see some great tennis. The gates to the Whiteman Tennis Center will open at 9:30 a.m., and the clinic will last an hour. Players will enjoy a free tennis clinic, raffles, and prizes. League players can participate in tennis clinics and many different games. Some of the ASU Lady Devils players will be on hand to help with the clinic and offer their support. At the completion of the clinic, lunch will be served and the players will have another chance to win more prizes. Come out to support the Lady Sun Devils and their match against USC. Take the opportunity to celebrate tennis with your family! We look forward to seeing a ton of players and families at the match! On the campus of Arizona State University at the Whiteman Tennis Center, USTA Central Arizona will be hosting a USTA Membership Appreciation day! On March 27, 2010 at 12 p.m., USTA Members will enjoy a great day of tennis and fun. ASU will be playing an important Pac-10 dual match against the University of California Golden Bears. Members will receive 5 raffle tickets that will enter them to win various raffle prizes, including tennis racquets and tickets to the PNB Baribas professional tournament in Palm Desert, CA. USTA Central Arizona members will also be given a meal ticket, where they can enjoy lunch and beverages with their family. All of the members will also be recognized and given a small gift on court, between the singles and doubles matches of the tennis match. USTA membership card must be presented at the gate.